There’s music that fits a mood: celebration, anger, happiness, the list goes on—and then there’s music that creates moods. 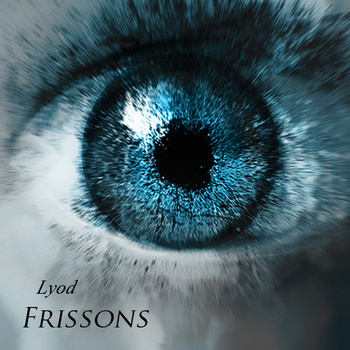 Chalk French musician Lyod in the second category: in only 15 short minutes, Abstractions takes us through an emotional wringer; it’s filled with moments that fit every color on our spectrum. The first track, “Comme un parfum dans l’air”, creates a haunting vibe that’s as immersive as any ghost house could ever be, before “Les cloches sonnent” swells up into an orchestral climax that fills the air with joy. “Movement pour cordes” is rather aptly named, featuring the entrance of beats into the acoustic stabs that characterize Lyod’s work, and the percussion creates a nice head of steam that bursts into urgency in the final moments of the track. “Passage a vide” forays into the darker territory explored earlier in the opener, and “L’echappee belle” pumps it full of air and explodes it with its bombastic, beatific framework. “Tintemarre”, one of the most frantically paced tracks on this album, picks up the remains and runs with them, finally laying them at the feet of the soothing “Devenir”, which brings Abstractions to a close. The whole thing lasts for only a few minutes, but it spans hundreds of miles, and Lyod’s work here is as memorable as it is fleeting. No Surprises - 2012 - Technologique?